The Case for Prayer, Part 1: Why the Case? Posted by Emily Sears on Mar 3, 2014 in Military Prayer | Comments Off on The Case for Prayer, Part 1: Why the Case? Skeptics, appealing to the “Separation of Church and State” mantra, often will insist that prayer is a private matter that has no place in any public forum outside a church building, and certainly no place in government. In those few cases where skeptics are forced to relent, such as the military or Congressional meetings, the naysayers retreat only slightly, demanding generic prayers that are devoid of Judeo-Christian theology. Some Christians, in the midst of all this back-and-forth, often ask why public prayer matters. The assault on public prayer is a direct assault on American history. The war on public prayer is not about tolerance, as tolerance is—as we shall see in the coming installments—but a Trojan horse for the marketing of a very anti-American and totalitarian agenda. To the skeptic, our freedoms are not a matter of Providence, but rather a product of evolution and therefore subject to change. This is why fundamental liberties—such as freedom of speech and the right to keep and bear arms, expressed in black-letter print in the Constitution—are always up for reinterpretation by the skeptic. To the skeptic, our Founders envisioned America as a secular Utopia in which law and justice are devoid of any connection to religious information. This worldview denies the fact that our very legal system of common law, which has its roots in the Old and New Testaments, predates our own Constitution by over a thousand years, and informs the way our Founders understood basic liberties. The assault on public prayer is a coordinated dismissal of that Providence, and, by default, an assault on the liberties for which our Founders fought and died. Our record of public prayer is integral to understanding American history. To understand America’s perseverance through difficult times requires an understanding of American character. Our history of public prayer, particularly in the military, provides snapshots of that collective character in every historical era, from colonial days to our modern era. Our record of public prayer provides encouragement and warning to our generation. Our society is at its greatest impasse since the Civil War. Whereas we fought over secession and slavery, today the struggle is over our identity as a nation. The decision we make will determine our path forward. Our history of prayer shows us where we have been, and where we can go. It in, we learn what kind of people we must be if we are to persevere as a union. Historic prayers give us pause to reflect that our great status as Americans is a gift from God, and not a product of philosophical rumination. They say that war and deployments change you, and that you’re never the same afterwards. As a Navy captain who has been deployed to war in the Middle East several times, I can vouch that this is true. But it doesn’t mean that all the change is bad: you just see things differently when you return home. For me, one of the greatest changes is the way I look at prayer. Each time I was deployed, the experience was much the same. Epic sandstorms and incredible heat, with temperatures of 130° F or more and humidity that could reach over 90 percent. Drinking one water bottle after another, with endless trips to the portable toilets. Cramped living conditions, zero privacy, and lines for everything. Deployment to a war zone also means combat conditions, danger, fear, self-doubt, and prolonged separation from family and friends. In these circumstances, with so many things out of your hands, you see how little control you have over your life and the lives of those entrusted to your care. But very intensely, you realize that God is always in control and that he hears you when you pray. This sense of God’s closeness became a living reality for me, as I brought him my concerns for my family and the troops under my command. Mass Meant Everything. Weekly Mass was the highlight of my prayer life during deployment. For Catholic troops, it’s not just an obligation—it’s a sanctuary and a place of peace. Mass was a simple affair. The chaplain would arrive with a small box containing missals, a chalice, wine, hosts, and everything else he needed. There might be five people, or fifty; the first two to arrive did the readings, and we all sang what we could manage. The priest would put on his vestments, and we’d start—sometimes right out in the open desert with a utility table for an altar. The biggest Marines you’ve ever seen would come from out of nowhere to stand, humble and needy, in that small circle. Even if you could hear the sounds of battle and worried about being shot at, you wanted to be there for those twenty minutes of peace. After Mass, if the chaplain had time, he heard confessions. We would line up and confess our sins face-to-face when our turn came up, with those behind standing a respectful distance back. Then the chaplain would be off to the next base. I always prayed for these priests. They were often overworked, due to the shortage of Catholic chaplains, but they never complained. We appreciated their sacrifice, because weekly Mass meant everything. In those few minutes, Christ restored us and made us strong enough to handle the next week. We would close our eyes and remember our loved ones back home, knowing that they were hearing the same Scripture readings that day. Through the Mass and our faith in Christ, we were connected. Prayer and Post-its. Early every morning before my day got going fast, I would read my daily Scripture. The Word Among Us was a great help—I discovered it while deployed, among the donated materials that the chaplains set out. Then I would pray for my family and for the men and women who were serving with me. I’d pray for those who had died that week and for their families. When our missions were especially dangerous—convoys through areas where there were snipers and IEDs, for example—I prayed for that too. During the day, I looked for opportunities to keep turning to the Lord. Even with little time and no privacy, I could usually find a minute to pull out my Bible, read a passage, and intercede. And just to help me remember everyone and everything I was praying for, I kept a prayer list of Post-it notes in my Bible. In the fog of war, you can’t always remember names and needs without some help. Those sticky notes were invaluable! Deployed service men and women have all the same concerns and problems that they had at home. And deployment can make them worse. We worry about our spouses, with all the extra work and burden they are carrying alone. We wonder if our children are doing well in school. I remember hearing a sailor on the phone with his wife one night, talking her through the bills: “Honey, take four envelopes, and write out ‘mortgage,’ ‘groceries,’ ‘gas’ … .” He did his best to sound positive, but his chin quivered as he spoke, and I knew his military pay wasn’t enough. His name went on my prayer list too. Letters and e-mails from home let me know that other people had me on their prayer list. My parents had a prayer circle of other elderly parishioners who prayed for my service members and me. This was huge! Some of these people I had never even met. Knowing that they were remembering us and lifting us up to the Lord gave me a sense of security and hope that we would make it through. Changed Forever. In “the world,” as deployed troops refer to home, it’s easy to think you’re in control. You go where you want; eat what you want, when you want; watch what you want, with remote controls in hand. When you’re deployed, you don’t have choices like that because you’re not in control. And so I prayed. It was all I could do—and the best thing I could ever do. I learned that the Lord was very near. Sometimes a sailor would come and tell me about bad things happening with his family, and I’d see this big, powerful guy break down in tears. I’d address the problem by contacting our command back home. But it was prayer that brought peace to that service member in front of me. As we prayed, I often felt like the words I was speaking were coming from somewhere else. So yes, my deployments have changed me. There’s not a single Sunday that I don’t relive a Mass in Iraq or somewhere else in the Middle East. When I lector, there’s not a single time that I don’t think back to reading Scripture at Mass in a war zone, where church means “us”—the people and not a building, just like in the early Church. As I read the Old Testament, I see a place I’ve seen before, not an image from a movie. I feel the sand and hot wind on my face, and for a moment, I’m back there. Best of all, I now know without a doubt that God is with me and that he hears me whenever—and wherever—I pray. Navy captain Mark Ghirardi lives in northern Florida with his wife and two children. Near the end of World War II, the Japanese, facing certain defeat, were in a rush to cover up the brutality of their Prisoner of War (POW) camps. On December 14, 1944, the Japanese burned 141 Allied POWs to death at the Palawan camp. Eleven managed to escape, and their story would set in motion the most important rescue mission in history. Enter the 6th Ranger Battalion, led by Col. Henry Mucci, who was tasked with a most arduous and honorable mission: rescuing the prisoners of Cabanatuan from certain death. His Rangers were aware that the prisoners at Cabanatuan were marked for execution, and time was of the essence. Making matters worse, they had a number of factors working against them: the terrain left them exposed, the layout and heavy fortification of the camp created a high risk for friendly casualties. The stakes and risks were high, even for the highly trained elite Ranger unit. On January 30, 1945, the 6th Ranger Battalion delivered like no other before or since: the raid on Cabanatuan remains the most successful rescue mission in history: 552 Allies were rescued, while only two prisoners died. Two Rangers died, both due to friendly fire. Col. Mucci, and his assault commander, Cpt. Robert Prince, understood and gave orders to their men based on this reality: Prayer for Divine Providence, an American cornerstone, is critical to mission success. His orders had solid precedent; General George Washington–a praying General–also commanded his troops based on this fact. Would you like to know more? First Principles Press has chronicled the history of prayer in our Armed Forces, from the Revolutionary War to Operations Iraqi Freedom and Enduring Freedom, published in one volume, Endowed By Their Creator: A Collection of Historic Military Prayers 1774-Present. 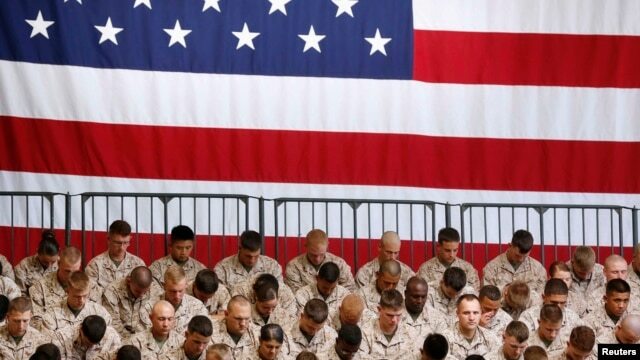 Prayer to the one God is–and always has been–a hallmark of the US military history. The oath that a military officer takes ends with, “so help me God”, conveying the high honor and gravity of an Officer’s Commission. While officers are not required to be Christian, the end of the oath of the officer is a prayer and it provides a sober reminder of the honor and calling of an Officer, as well as his need for Divine Providence. Sadly, due to a large-scale passive-aggressive war against our Christian foundation by groups that have a specific hatred for all things Christian, what was considered critical to mission success in World War II, and a recognition for victory in the Revolutionary War, is now in danger of banishment from military life. An officer like Col. Mucci, who received the Distinguished Service Cross for his actions at Cabanatuan during World War II would likely face a Court Martial today. As one of many examples of the current war on Christianity in the military, a few months ago the Air Force Academy dropped “so help me God” from three of their oaths in yet another knee jerk reaction to the lawsuit-filing extremist, Mikey Weinstein. It is no surprise that sexual assaults are on the rise as the military cracks down on the exercise of faith by Christians, driving men and women of faith to leave our military ranks. Make no mistake: our Christian roots are not just historical relics; they are legally-established factual findings, as our Supreme Court, four different times, has established that America is a Christian nation. This is an attack on the very fabric that makes America exceptional. At the insistence of small advocacy groups outside the services, the military continues to depart from their first principles and marginalize Christian prayer. The free exercise of religion, particularly by the conservative Christian who has served America well for over 200 years, is in grave danger, and this represents a relentless threat to the very fabric of our Armed Forces. As Christians, we must continue on in this fight as a united front for, if military leaders like General Washington and Colonel Mucci are right, the survival of our Republic depends on the military success we discover on our knees. Near the end of the Civil War many stories ran through out the Union army of the horrors of a prison camp in south Georgia known as Andersonville. Many union soldiers felt that it would be better to die than to be sent to that dreaded place. In November of 1863, Confederate Captain Sidney Winder was sent to the village of Andersonville in Sumter County, Georgia, to evaluate the potential of building a prison for captured Union soldiers. The southern location, the availability of fresh water, and its closeness to the Southwestern Railroad, made Andersonville a good prison location. In January of 1864, slaves from local farms were used to cut trees and dig ditches for construction of the prison. The prison enclosure was approximately 1010 feet long and 780 feet wide. The walls of the stockade were constructed of pine logs cut on site, hewn square, and set vertically in a wall trench dug roughly five feet deep. The poles were hewn to a thickness of eight to 12 inches and “matched so well on the inner line of the palisades as to give no glimpse of the outside. A inner fence known as the deadline was built approximately 20 feet inside the stockade wall to distinguish a no-man’s land keeping the prisoners away from the stockade wall. Anyone crossing this line was shot by sentries posted around the stockade wall. Prisoners began arriving at the prison in February of 1864 and by June the prison population had climbed to over 20,000. It was decided that a larger prison was needed and by mid-June work had begun to enlarge the prison. The prison’s walls were extended 600 feet to the north surrounding an area of roughly 10 acres bringing the total prison area to 26.5 acres. The extension was built by a crew of Union prisoners in about 14 days. On July 1, the northern extension was opened to the prisoners who subsequently tore down the original north stockade wall then used the timbers for fuel and building materials. By August over 33,000 Union prisoners were held in the 26.5 acre prison that was designed to hold 10,000. The stream of water that supplied the camp soon became polluted by human wastes and other pollutants. Diarrhea and dysentery spread throughout the camp. Deaths from those ailments, as well as from gangrene and other diseases, occurred by the scores. The greatest toll being 90 on August 23: 1864. A group of Christian prisoners finally decided they would pray to God for pure water and would not stop until their prayers were answered. They prayed for hours. Finally a deafening noise like thunder or an earthquake shook the earth, and where they were kneeling a stream of water burst forth from the torn ground. They considered this phenomenon a providential act of God and so the stream of water was called Providence Spring. One eyewitness account was handed down to his Grandson a certain Blake Myers. He said that his grandfather was one of those in the prayer group and that is the story he told him when he was a boy was true. One of the historical accounts reported that the spring was originally there, but had been covered over when the camp construction work was in progress. Nevertheless, those who prayed for water believed God’s providential act provided an answer to their prayers. There is a fine stone house erected in 1901, at Providence Spring and this Inscription is on the wall: “The Prisoners’ cry of thirst rang up to Heaven; God heard, and with His thunder cleft the earth and poured his sweet water came rushing here.” On another side of this house is the inscription: “God smote the hillside and gave them drink, August 16, 1864. There has been a great deal written about Providence Spring and what caused the water to come out of the earth at this place. I will state that I was there at the time God gave this spring to us, and this spring came through prayer for water. The water furnished the stockade by the branch became so unfit from the filth on the outside and from the cook house and stables that there was a general cry for water from all over the camp and God heard the cries of his people and gave them Providence Spring. The Confederates at the time, and even to this day, call this Providence Spring, and say that God answered the soldiers’ prayer for water. Today, when one visits Andersonville the story of the miracle is mentioned but played down. How sad that our history is being changed or forgotten all in the name of academic freedom. BAGRAM AIRFIELD, Afghanistan (AFNS) — Medical personnel at the Craig Joint Theater Hospital see patients from all over Afghanistan with medical issues ranging from kidney stones and appendicitis to trauma battle-related issues, but other teams are also present to provide another type of healing that goes beyond medical care. Two sets of Air Force chaplains and chaplain assistants, known as religious support teams, or RSTs, provide religious support and spiritual counsel to this group of U.S. service members, International Coalition Forces and local nationals. This approach extends to even the most unique patients, those who are considered enemies. Willeford recalls hearing an injured Taliban soldier communicating concern for his personal safety to his interpreter as he was being treated in the trauma bay. For U.S. forces in particular, the Air Force RSTs have found a great way to connect with service members; they do this by helping them connect to their social networks. But often, something even simpler than Internet connection does the job to provide comfort to service members in pain. For these caregivers, who work alternating 12-hour shifts, compassion fatigue is a very real threat. Also called secondary traumatic stress, compassion fatigue can affect individuals exposed to trauma and suffering, and can result in anxiety, stress and a feeling of hopelessness. Working long and stressful shifts, the RSTs recognize that they need to carefully monitor their own well-being so they can effectively take care of others. The fact that each chaplain and chaplain assistant operates as a team means they always have a partner to work through whatever challenges their shifts may bring. 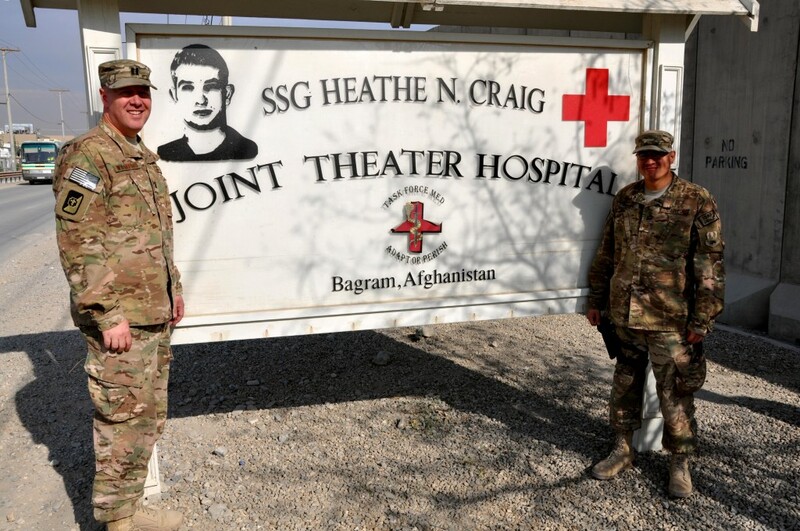 As caregivers to the ill and severely injured in a combat zone, the medical staff and RSTs work together to help patients heal inside and out. For those who have experienced trauma and loss, the chaplains and chaplain assistants seek to provide comfort and hope through prayer and counsel. Jay West stands alongside soldiers as a visible reminder of God’s presence. United Methodist Army Chaplain Jay West says he has the best job in the world. Jay, Army broadcast chaplain for American Forces Network Europe, was first a battalion chaplain at Fort Campbell, Ky., and spent a year in Iraq. While there, he was awarded the Bronze Star for valor. He is familiar with the pain, anxiety, adrenaline rush, loneliness, and flood of emotions that wash over a soldier and his or her family in times of war. “There is a significant role the church plays in nurturing folks along their spiritual path,” he says. It was a conversation with another United Methodist chaplain, the Rev. Terry Bradfield, that helped him hear his call into chaplaincy. Jay and his wife, Pam, felt God was calling them in a different direction after their fourth year in ministry at a local church in West Va.
“My family worships every Sunday with folks who are as diverse theologically as can be imagined, but we come together as the body of Christ,” he says. He says it has been a bit of an adjustment in this new ministry, where he can’t see the tangible results. Jay uses the Apostle Paul’s analogy of the planter in his daily work. Audio story by Mike Hickcox; print story by Kathy Gilbert.